CONTACT FORM: The data will be treated for the resolution of queries and the sending of the requested information. SOCIAL NETWORKS The data received through the social networks will be treated to meet the possible requests and manage the interactions with the social profiles. SENDING OF COMMERCIAL INFORMATION: The RESPONSIBLE will request the explicit consent of the users in addition to the sending of advertising communications related to products marketed by the companies. The RESPONSIBLE will keep the data for a period of three years in compliance with the provisions of art. 45 of Law 34/2002, of 11 July, on information society services and electronic commerce. The processing of the User’s data by the PERSON IN CHARGE will have its legitimacy in the consent explicitly given. The data provided by the Users may only be transferred to the Security Forces and Bodies and/or other Public Administrations with competence in the matter. The right of access allows the holder to know and obtain free of charge information on his personal data subject to processing. You may ask us to tell you what information we hold about you. This right is characterised by the fact that it allows errors to be corrected, data that are inaccurate or incomplete to be amended and guarantees the accuracy of the information being processed. You must inform us of any changes in your details and are responsible for updating your information. The right of deletion allows for the deletion of data which prove to be inadequate or excessive, without prejudice to the duty of blocking. The right to object is the holder’s right not to have his personal data processed or to have them stopped for certain purposes. You may object to the processing of your data by indicating the specific purposes for which you object. The right to portability allows you to request a copy of your personal data in a structured, commonly used and machine-readable format. Ways to exercise your rights.  The User may exercise the rights described in the previous section at the address of the person responsible: comunicacion@moradillo.com. In the event that the exercise of their rights has not been properly attended to or satisfied, the User may file the corresponding complaint to the Spanish Data Protection Agency, located at Street Jorge Juan,n. 6, Postal Code 28001, Madrid, phone number +3491266353517. The Users, by means of the marking of the corresponding boxes and the entry of data in the fields, marked with an asterisk (*) in the contact form or presented in download forms, accept expressly and in a free and unequivocal way, that their data are necessary to meet their request, by the provider, being voluntary the inclusion of data in the remaining fields. The User guarantees that the personal data provided to the RESPONSIBLE are true and is responsible for communicating any changes to them. All data requested through the website are mandatory, as they are necessary for the provision of an optimal service to the User. In the event that not all the data is provided, there is no guarantee that the information and services provided will be completely adjusted to your needs. That in accordance with the provisions of the current regulations on the protection of personal data, the RESPONSIBLE is complying with all the provisions of the GDPR and LOPD regulations for the processing of personal data for which he or she is responsible, and clearly with the principles described in article 5 of the GDPR and article 4 of the LOPD, by which they are treated in a lawful, fair and transparent manner in relation to the data subject and appropriate, relevant and limited to what is necessary in relation to the purposes for which they are processed. The RESPONSIBLE guarantees that he/she has implemented appropriate technical and organisational policies to apply the security measures established by the GDPR and the LOPD in order to protect the rights and freedoms of Users and has communicated to them the appropriate information so that they can exercise them. Analytical Cookies: collect information about how we use the website. Use of IP: All computers and devices connected to the Internet are assigned a unique number known as the “Internet Protocol Address” or “IP Address”. Because these numbers are often assigned by country, IP addresses are often used to identify the country, state, and city from which your computer is connected to the Internet. GOOGLE ANALYTICS records the IP address of the users who visit the website so that its owner knows from which points on the planet they are visiting the site. This method is called “IP geolocation”. GOOGLE ANALYTICS does not provide us with information about the actual IP address. utma: This cookie generates a unique user ID, which is used to count how many times a user visits the site. It also records when you first and last visited the site. It is a persistent cookie that can take more than two years to expire. utmb and utmc: These cookies are used to calculate when a session is over. The utmb records the time of arrival on the page while the utm checks whether the session should be kept open or whether a new session should be created. utmz: this cookie is the one that registers the user’s origin, as well as the keywords. It has a shelf life of six months, although it is renewed each time you visit the website, provided it is not a direct visit. Please refer to the documentation of the browser you have installed.